Summer's just about over and that means it's time to look back and reflect on what you did on your time off. Where did you go? What did you do? And how long will you be paying the credit card companies back for it all? Well even though this year we didn't visit Tokyo, we did get to experience enough classic Japanese cartoon goodness to realize that one doesn't have to cross the Pacific to find old-school anime. 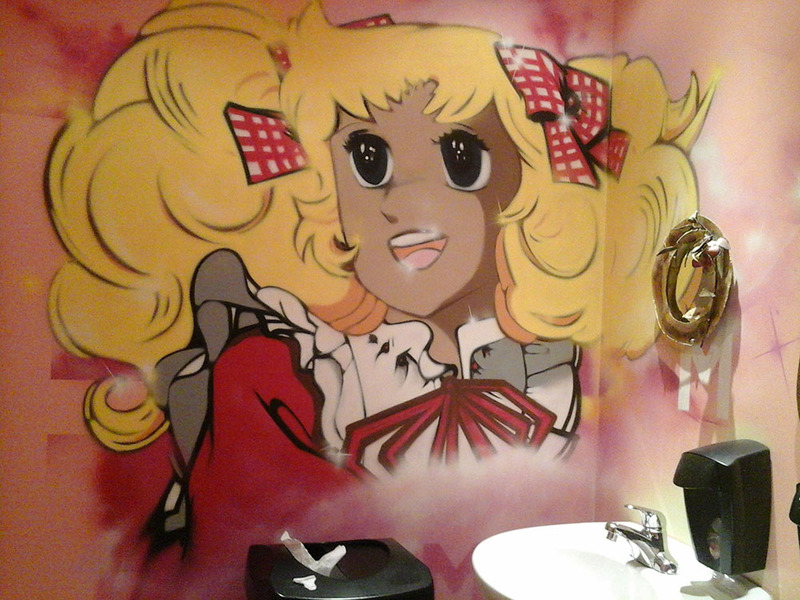 On our trip through upstate New York, Vermont, New Hampshire, and Quebec, we found them bug-eyed Japanheeno cartoons peeking out at us around every corner, seemed like. 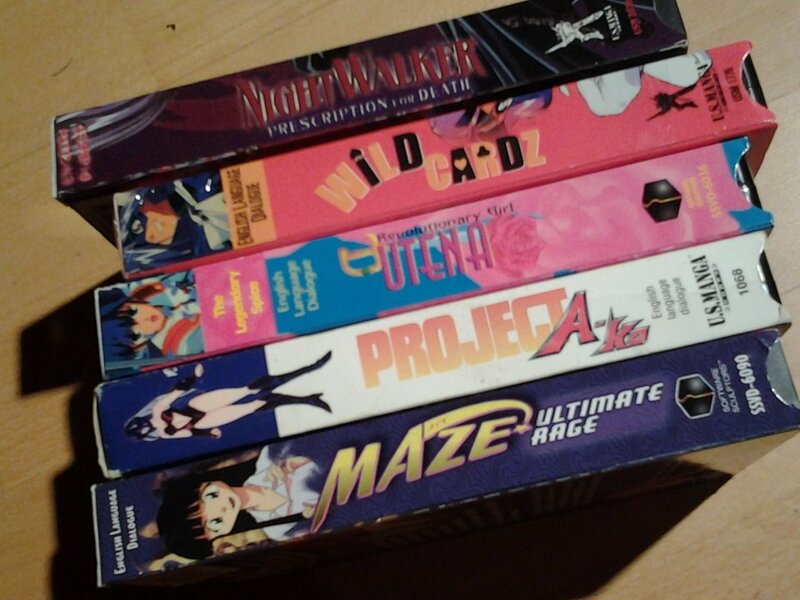 As a French-speaking province linguistically tied to a nation that spent the 1970s and 1980s watching as many Japanese cartoons their PAL television system could cram onto the airwaves, Quebec was North America's go-to region for classic anime. 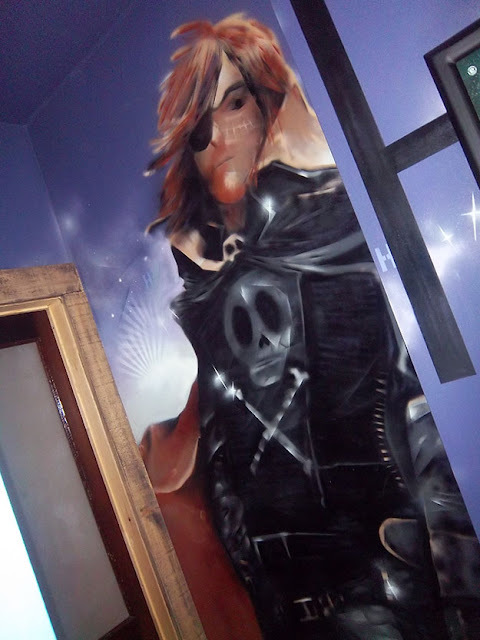 And here in 2016 that's evident everywhere people of a certain age gather, especially in Montreal's hip burger joint La Belle et la Boeuf, where not only can you consume a giant burger named after UFO Robo Grandizer, but you can wash your hands under the protective gaze of Captain Harlock for men and Candy Candy for the ladies. 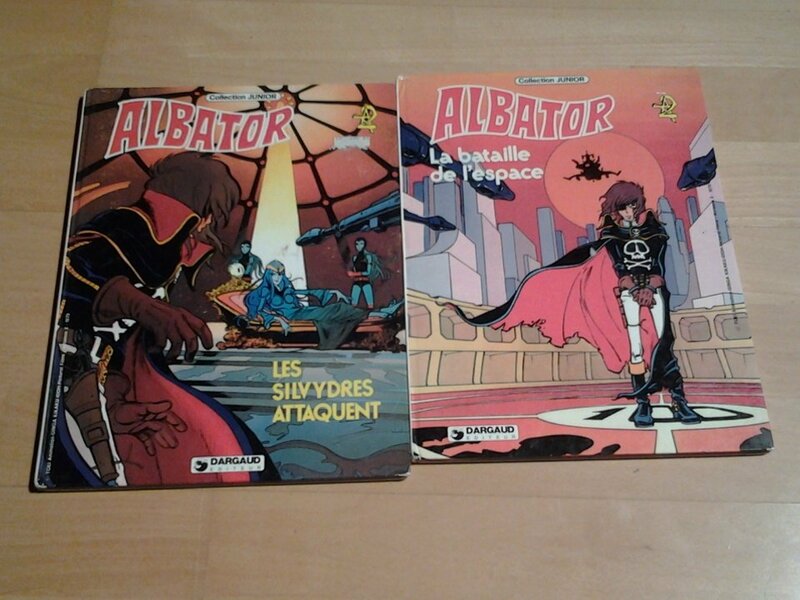 Get up early the next morning and hit the antique malls, where a selection of Albator (Captain Harlock) and Goldorak (Grandizer) merchandise awaits you! The Goldorak stuff was overpriced IMHO ($10 for a scratched up 45 single of the French theme song, no thanks) but the Albator BD (that's "bandes dessinees", or comic books) were a bargain at twice the price. 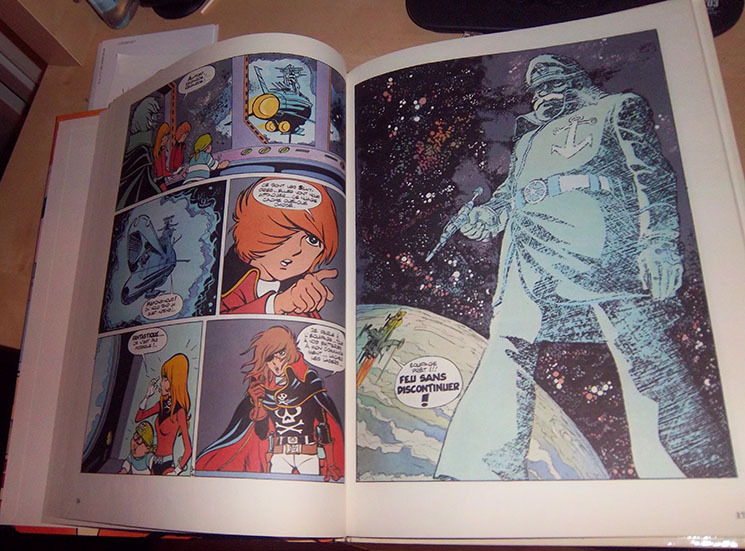 The fascinating thing about these French Harlock comics is that they took terrific liberties with the original source material, sometimes adapting television stories wholesale, and sometimes going off in crazy new directions involving characters from completely different Japanese anime series. While in Massachusetts, you should definitely visit The Outer Limits in Waltham, a great comic book store with lots and lots of comic books of all kinds, as well as an interesting selection of toys & stuff from the 70s & 80s era of Japanese cartoons. 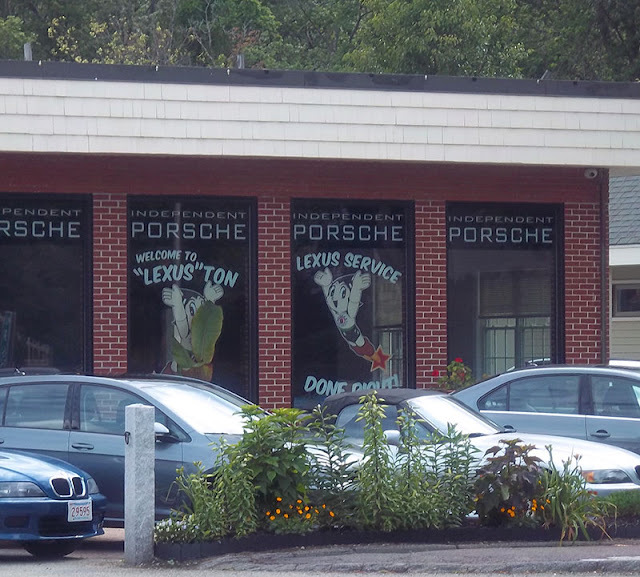 You should also take a trip through Lexington, site of a pivotal scene in American history, and also a place where an auto dealership uses Astro Boy to advertise their excellent service department. No, seriously. When visiting New England you owe it to yourself to visit the Fun Spot in Weirs Beach New Hampshire. Not only can you play skee-ball, immerse yourself in the largest selection of working classic arcade games under one roof in the Western hemisphere, and roll your eyes at the Objectivist lecturing thoughtfully provided by the management, you can also revisit your first exposure to Lupin III in the form of the laser disc video game Cliff Hanger. 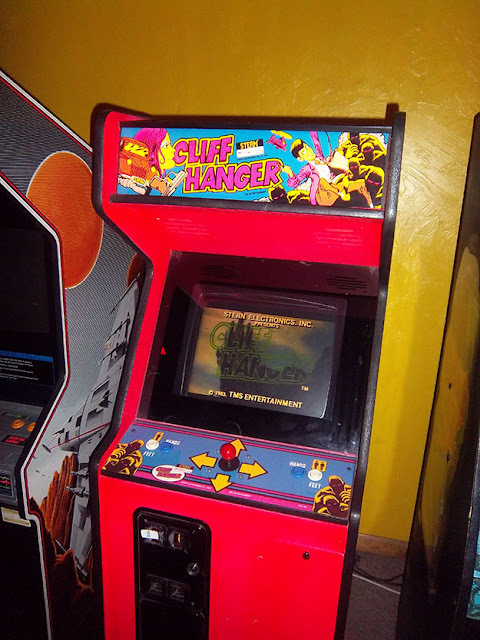 Yes, it works, and yes, the game play is just as mechanical and unsatisfying as you remember. But hey, game play is still a quarter just like it was in the 80s! Pile up a stack of tokens and play your way through the ninjas and gather a crowd of awestruck 12 year olds around you! Next on our journey we crossed over into Vermont, where we visited Quechee Gorge, a beautiful spot of natural wonder located providentially next to an antique mall. 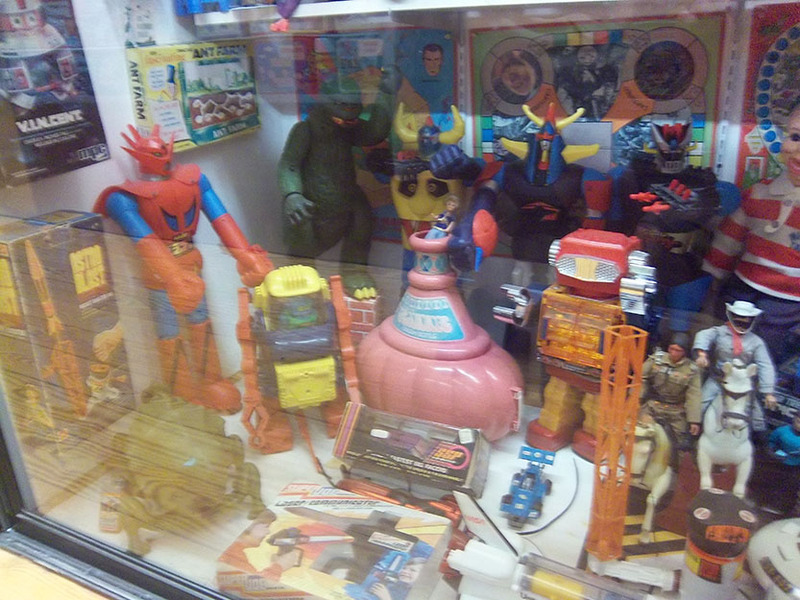 Antique Malls are surprisingly fruitful locations to find bits of Japanese pop culture hiding among the fake tin reproduction signage and the plastic M&M figures that ARE NOT ANTIQUES, and Quechee is no exception. 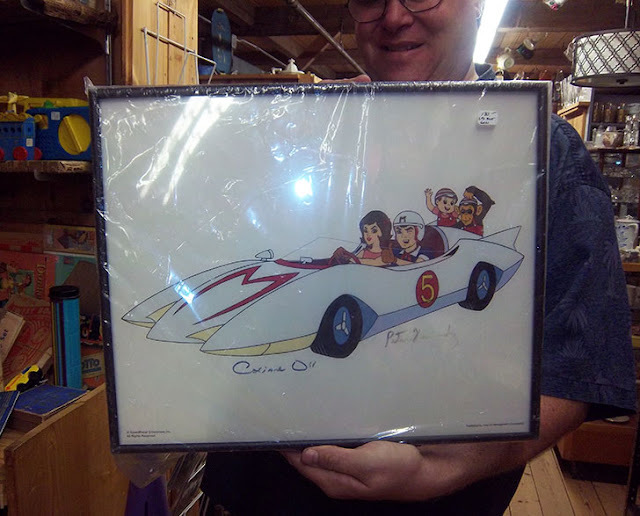 Here we see celebrity anime translator Neil Nadelman modelling a lithograph of the Speed Racer cast signed by Peter Fernandez and Corinne Orr. 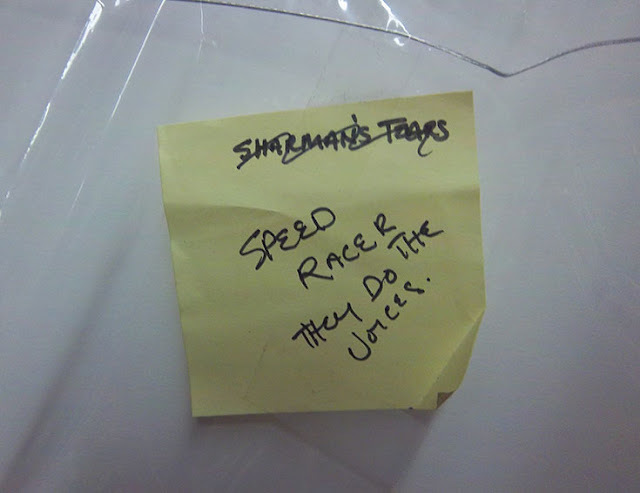 Like the helpful post-it says on the back, "they do the voices." And they do! When visiting Quechee, head upstairs to their Toy Museum and prepare for your eyes to bug out and your jaw to drop at all the awesome, awesome toys they have on display that you cannot ever play with, ever. Then you'll want to head over to Rutland Vermont, filming location of the amazing sci-fi drama Time Chasers. If you've ever wanted to learn Japanese, well, you probably own books published by the Charles Tuttle Company of Rutland. 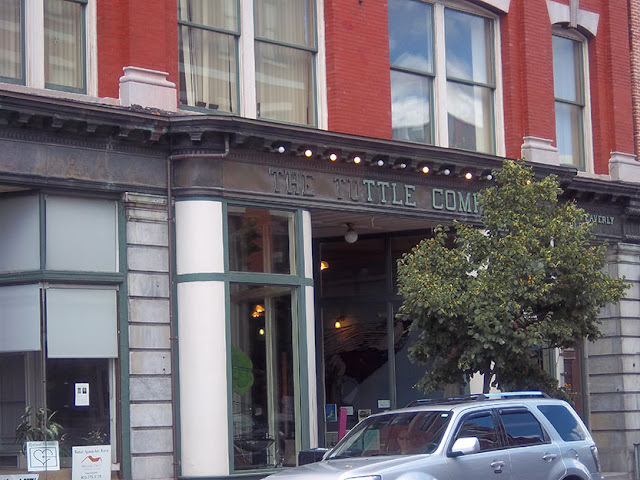 Well Charles Tuttle was a real person and he really lived in Rutland and he had his own building right downtown! Then, and only then, may you visit the local thrift store and freely avail yourself of the 5-for-$1 VHS tapes. And that was our vacation. Well, okay, it wasn't all ferreting out silly cartoon nonsense. 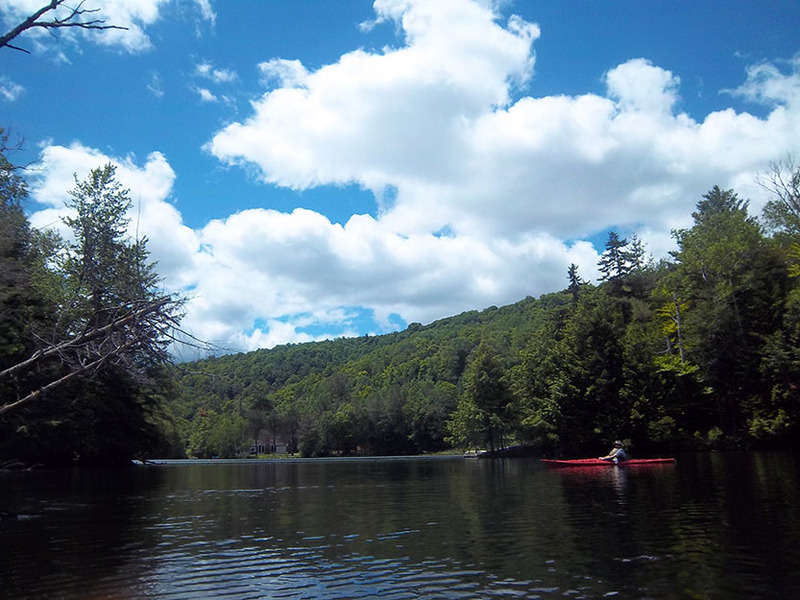 We saw a bunch of friends and ate terrific meals and got some beach time in and even did a little paddling on one of New England's more picturesque lakes. For YOUR next vacation, why not consider the Quebec-Vermont-New Hampshire-Massachusetts region?